Bet on Betway's Lucky Numbers. We offer a selection of over 35,000 international Lucky Numbers markets to choose from with a chance of winnings huge jackpot amounts. To get started, simply log into your account and visit the Lucky Numbers tab to place your first bet. 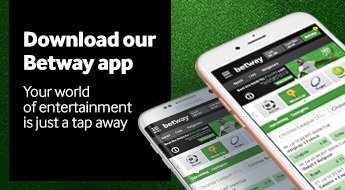 If you're new to Betway, register a new account before getting started. Once you've registered, you can make your first deposit and claim your welcome bonus. Select 6 to 8 numbers between a range of 1 and 70 depending on the particular draw. This format does not allow for any flexibility or the inclusion of additional betting options. 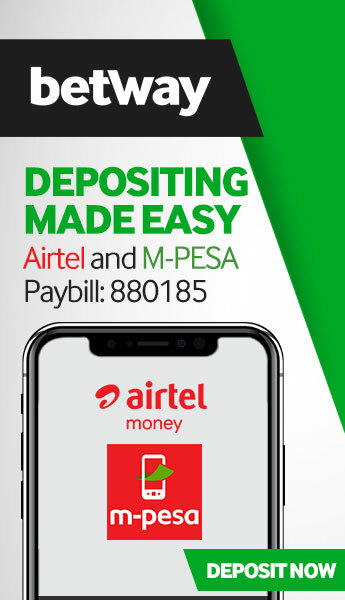 However, with Betway's Lucky Numbers the range of bets is supercharged to include a number of exciting betting options with a range of competitive odds. Regular Draw Bets requires players to predict a predefined number of balls that will be drawn. The predefined number of balls range from a single ball to full ball selection. The result is a range of odds from as little as 2 or 3 to several thousand. Draw Sum bets extend the traditional bet types to include bets on the sum of all the balls drawn. For instance, if in a six-ball draw 12, 18, 22, 26, 34 and 48 are drawn the sum of all six balls will be 160. You can then chose to place an odd/even, overs/unders or range bet on the likelihood of a particular 6-ball total being draw. Using our example, if you had placed an even bet on the six-ball draw, your bet would have won. How do I place a Lucky Numbers bet? If you're new to Betway’s Lucky Numbers lotto betting, you can follow our simple three-step guide. If you're still struggling to place your first bet, please contact our support centre. Our knowledgeable support agents are available 24/7/365 to assist your with all your queries. you would like to explore our broader selection of Lucky Numbers bets, you can now filter by country or by the name of the draw. You can also use the Search bar to find a specific draw to bet on. Once you have selected your preferred lotto draw, the full selection of betting options will be displayed to you. If you chose to place a Regular Draw Bet, a second section will be displayed in order for you to make your number selections. Once you have finalised your bet, your betslip will be updated automatically. Prefer to bet on sports? Visit our Sports tab to view the full selection of sporting events available to you. We offer odds on soccer, cricket, rugby, basketball, American football, ice hockey, Aussie Rules, darts, handball and many more. You can also bet on your favourite sporting event Live as the action unfolds.